A highly nutritious grass hay that provides an excellent source of long strand fiber without the excess protein, energy, and calcium found in the legume hays, such as alfalfa. 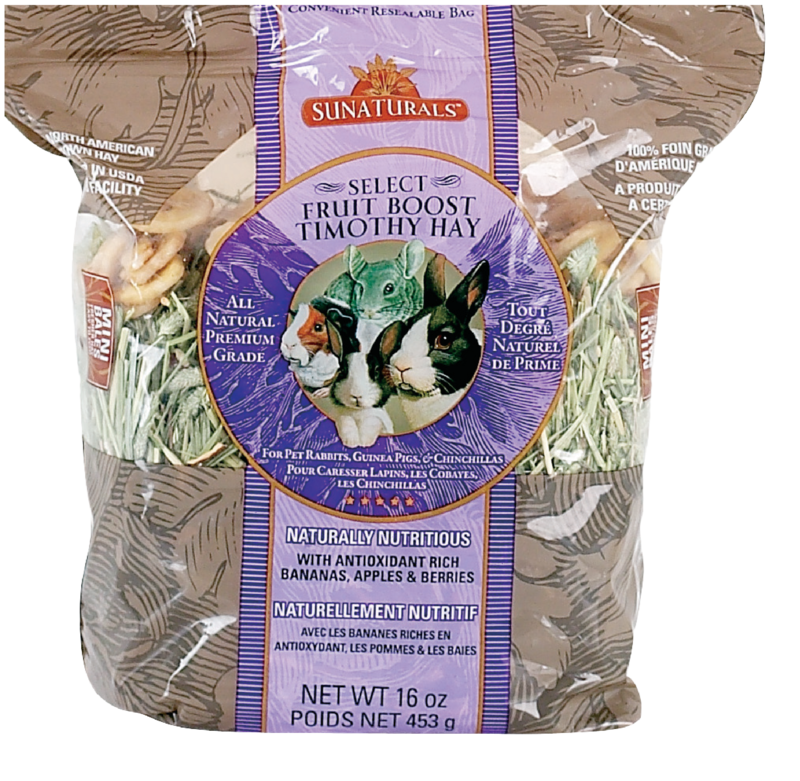 Some pets, particularly adult rabbits, have lower requirements for protein, energy and calcium, making Spring Harvest the ideal forage selection for these animals. Timothy hay is widely recommended by veterinarians as an ideal fiber source, necessary to keep the digestive systems of herbivores functioning properly. Sun-Cured Timothy Hay, Dehydrated Banana, Raisins, Dehydrated Apple, Dehydrated Cranberry.